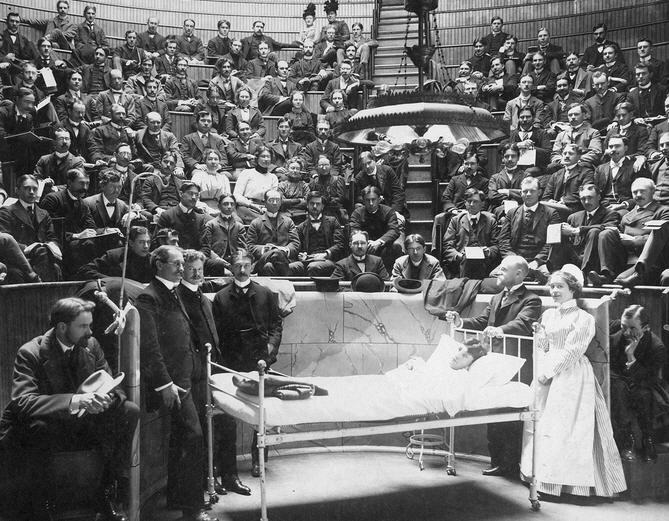 This photo from the Rush Archives shows a clinic in 1900 featuring James B. Herrick, MD, a Rush Medical College graduate and faculty member who discovered sickle cell anemia. Ernest E. Irons (Rush class of 1903), the intern who first brought the abnormal cells to Herrick’s attention, later became dean of Rush Medical College. This entry was posted in Rush Archives, Rush University and tagged rush medical college, Rush University, sickle cell anemia. Bookmark the permalink.